Jasper is sometimes called the “supreme nurturer” for good reason. 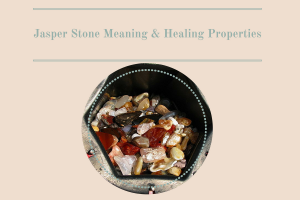 The basic Jasper stone meaning is known metaphysically as a stone of gentleness, comfort, and relaxation as well as its protective energies to absorb negative energy. It was considered sacred and a powerful protection stone, for both the physical world and in the spiritual realm. In the emotional realms, Jasper is primarily about peace and relaxation. 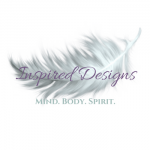 It enhances one’s ability to relax and come to peace even in the most difficult situations. This helps to bring in wholeness, emotional healing, kindness, and comfort. Physically, Jasper supports during prolonged illness and re-energizes the body. Jasper is used in crystal healing particularly for the liver, kidney, gallbladder, stomach and intestinal problems including heartburn, IBS, and acid reflux, hallucinations, longevity, epilepsy and seizures. 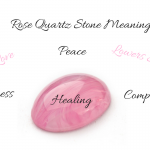 There are numerous types of Jasper stones and healing properties in addition to basic Jasper. Specific colors and forms of Jasper have additional energy and metaphysical properties that are listed below. Jasper is a variety of chalcedony which is a microcrystalline variety of quartz, so it also has the metaphysical energies of both Chalcedony and Quartz. 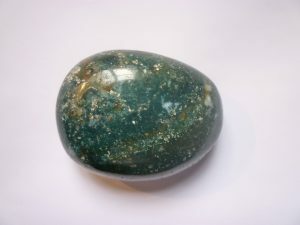 Green Jasper this is thought to be a stone of balance that may be very powerful assisting your body in overcoming disease as well as obsessions. The stone is thought to help boost the immune system and detoxifies all the body’s systems. In particular it is thought to help with skin conditions and help remove bloating as well as aid with conditions of the digestive system. Green Jasper can also help children who are having difficulty establishing a sleep routine. It is a stone known for helping your body to absorb nutrients from food. as well as helping to ease weather related respiratory problems. Red Jasper is gently stimulating and also an extremely protective stone. It can neutralize radiation and other forms of environmental and electromagnetic pollution. Red Jasper rectifies unjust situations and grounds energy. It Brings problems to light and provides insights into difficult situations. 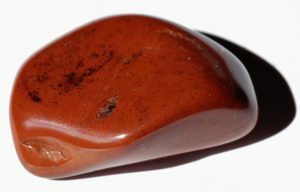 An excellent “worry stone”, Red Jasper calms your emotions. It also aids in dream recall and cleans and stabilizes the aura. Red Jasper is known as a stone of health, strengthens and detoxifies the circulatory system, blood and liver. The color energy of Brown Jasper, brings you in connection with the natural world. It is the color influence of home, hearth, and nature. It helps you to relax, reconnect, and regain your composure. Brown Jasper is also known as a grounding stone, promoting security and stability. Brown Jasper is excellent for healing both physical and emotional imbalances during injury, prolonged illness or hospitalization. Its Earth energies bring gradual strength and renewed vitality, while helping one to understand and endure these frustrating or painful experiences.